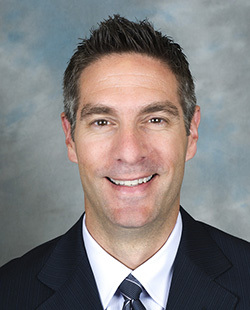 Dr. Drezner is a Professor in the Department of Family Medicine and Associate Director of the Sports Medicine Fellowship Program at the University of Washington. He serves as team physician for the University of Washington Huskies and the Seattle Seahawks, and is past-President of the American Medical Society for Sports Medicine (2012-13). He is board certified in Family Medicine and has a Certificate of Added Qualification in Sports Medicine. He attended Brown University where he received an undergraduate degree in biomedical ethics and also played varsity basketball. He received his medical degree from the University of California, Los Angeles School of Medicine in 1996 and was elected to the Alpha Omega Alpha National Medical Honor Society. He completed his residency at Tacoma Family Medicine in 1999 where he was Chief Resident and also received the Society of Teachers of Family Medicine Resident Teacher Award. After residency, he completed a fellowship in Primary Care Sports Medicine and a fellowship in Faculty Development at the University of Washington. He has twice been honored with the Faculty Teaching Award from the University of Washington Family Practice Residency Program (2001, 2006). Dr. Drezner is the founder and director of the National Registry for AED Use in Sports, and was co-chair of the 2007 Inter-Association Task Force recommendations on emergency planning for sudden cardiac arrest in sport. The AED registry continues to be a cornerstone for monitoring the incidence and outcomes of acute cardiac events in sport and is now utilized in collaboration with the National Center for Catastrophic Sports Injury Research. Dr. Drezner served on the National Heart, Lung, & Blood Institute (NHLBI) advisory committee on screening for SCD in the young and is a past-President of the American Medical Society for Sports Medicine (AMSSM). He had the great honor of highlighting his scientific contributions as the opening keynote lecture on SCD prevention at the 2011 IOC World Conference on the Prevention of Injury & Illness in Sport. In 2012, Dr. Drezner was chair of an international initiative to develop ECG interpretation standards and an online training course for ECG interpretation in athletes. The consensus guidelines (“Seattle criteria”) are aimed to assist physicians distinguish physiologic ECG adaptations in athletes from ECG abnormalities suggestive of a pathologic cardiac disorder. The training course provides a comprehensive review of athlete’s heart, disorders associated with sudden cardiac death, and the evaluation of ECG abnormalities. Co-sponsored by FIFA, this project has strengthened a growing consultative role for Dr. Drezner with FIFA and led to the publication of a FIFA-wide emergency planning and cardiac arrest management guideline. Dr. Drezner believes sports medicine physicians have a unique role in the health and safety of athletes, and together with cardiology specialists can provide the full spectrum of cardiovascular care for athletes. As director of the Center for Sports Cardiology, he hopes to expand the clinical services available to young athletes while advancing research and education related to sports cardiology.